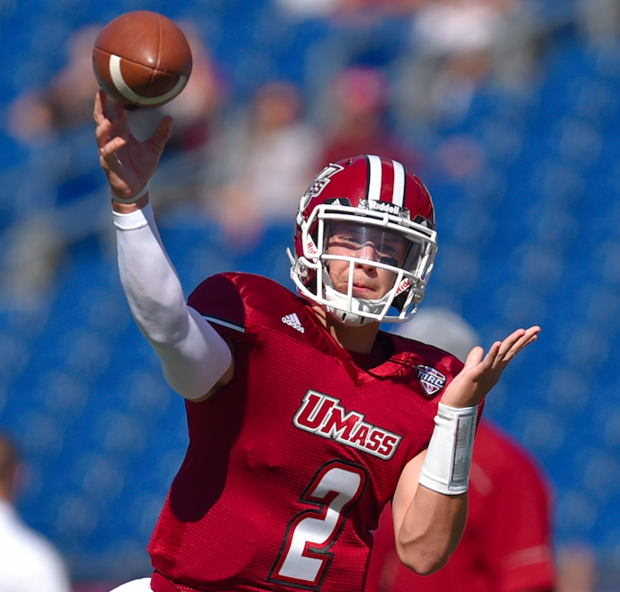 Amherst, MA- University of Massachusetts head football coach Mark Whipple has named a starting quarterback for the Minutemen’s season opener at Florida. Sophmore Ross Comis will get the start after outplaying junior college transfer Andrew Ford in camp. Comis is a dual threat quarterback from Weirton, WV. In 2015 Comis completed 15 of 21 passes for 171 yards and two touchdowns. Florida plays against UMASS on September 3, at 7:30 PM.